Haynes 25™ has an excellent temperature strength and oxidation resistance to 2000 °F. Haynes 25™ is hot formable between 1900 ≥F- 2300 °F. Also known as Alloy L605, it is better to cold-work Haynes 25™ for bending, spinning and drawing the components. MP35N® alloy is nickel-cobalt based alloy with a unique combination of properties. MP35N® alloy’s toughness, high strength, ductility makes the alloy exceptionally resistant to stress- cracking and crevice. It has also outstanding corrosion resistance in salt water, chloride solutions, mineral acids, and in hydrogen – sulfides. Multimet N155® alloy is a solid-solution-strengthened superalloy with excellent high temperature strength and good oxidation resistance. Multimet N155® has been used in aircraft and land-based turbine engine applications. Multimet N155® can be hot and cold formed by different techniques, and is weldable by most standard methods. UNS K93600 also referred to by their trade names Invar 36® and Nilo 36® are nickel-iron alloys. The alloy retains good strength and toughness at freezing temperatures. Alloy 36 is used for measuring devices, laser components, thermostat rods, and transporting liquefied gases. 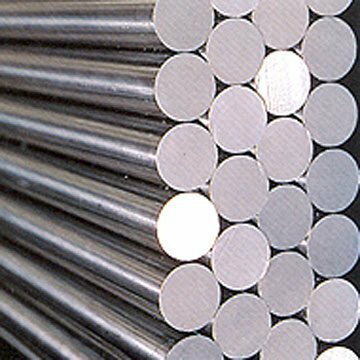 Waspalloy™ is a nickel- base alloy with excellent high temperature strength and good resistance to oxidation at a temperature up to 1200 °F. Waspalloy™ has higher stability and strength ranges than those available for alloy 718. Waspalloy™can be heat treated in three-steps: solution treatment, stabilization and age-hardening. Haynes 188™is a cobalt-base alloy with excellent high temperature strength and great oxidation resistance up to 2000° F. Haynes 188’s has good resistance to sulfidation and good metallurgical stability, therefore Haynes 188™ can be easily fabricated. Haynes 188™ is useful in gas turbine applications such as flame holders, liners, combustors and transition ducts. Ni-Span C 92® consists of nickel, iron, titanium, and chromium. Ni-Span C 92® is not stainless, therefore, it will acquire a red-brown oxide film when exposed to outdoor environments. Incoloy® 330 is high in nickel and chromium that provides good resistance to carburization, oxidation, and nitridation. Incoloy® 330 is welded easily by all conventional processes; it can be formed hot (between 1750-1200° F) and cold. Incoloy®330 is used for industrial heating furnaces, muffles, retorts, boxed and baskets. MP159® Alloy is a nickel-cobalt base alloy with the same characteristics as the MP35N® alloy. MP159® has an excellent strength and ductility in temperatures up to 1100- 1200° F. MP159® has stress corrosion and corrosion resistant to crevice corrosion and hydrogen. Rene 41® is a nickel-chromium alloy that contains cobalt, molybdenum and some aluminum and titanium. Rene 41® has a high corrosion resistance, easily fabricated which makes Rene 41® usable to aircraft engine components such as turbine blades, wheels, combustion chamber liners and structural hardware. Rene 41®’s specifications are AMS 5545, AMS 5712, and AMS 5713.